Hi everyone! In the past few months, I have been trying to contour my face more: defining cheek bones, sides of the nose, temples, etc. The bronzer I have been using is the Too Faced Milk Chocolate Soleil Bronzer. It is perfect for those of you with medium to dark skin tones (I’m a medium!). If you have a lighter complexion, they also have the Chocolate Soleil Bronzer! Be sure to check out the contouring guide below if you are also starting to get into contouring! 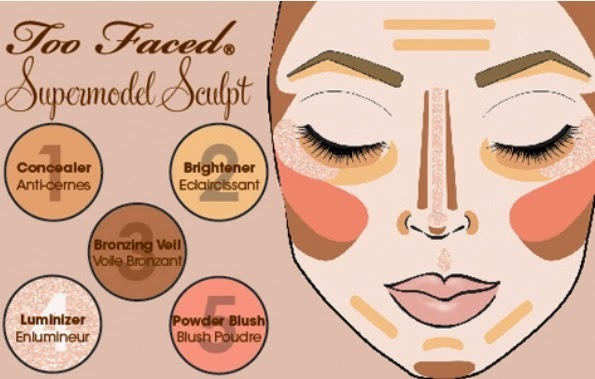 Here’s the guide from Too Faced! Planning To Dye My Hair!